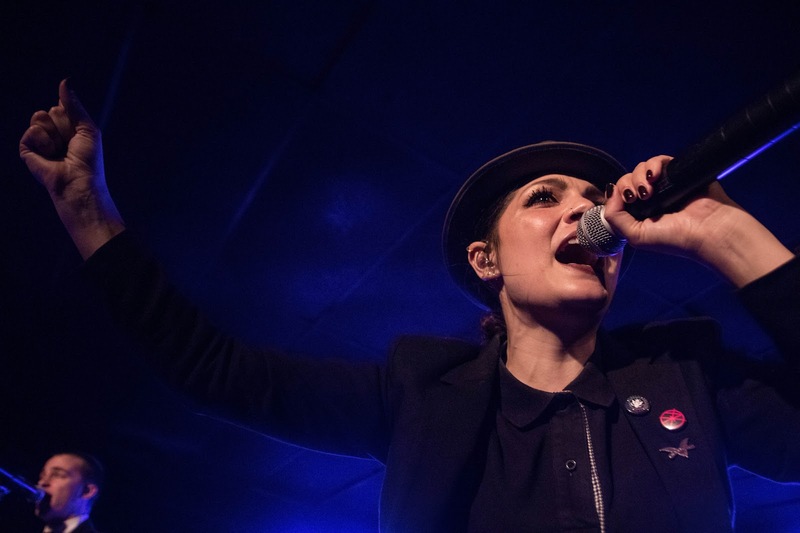 Saturday night, co-headliners The Interrupters and SWMRS and opening act The Regrettes played one of the final nights of their U.S. tour in Lawrence. The Regrettes constructed their fast-paced punk songs with lyrics that reflect the teenage experience. Lead singer Lydia Night jumped all over the stage throughout their set, as well as into the crowd for a brief dance party. Next, SWMRS took the stage, flaunting catchy guitar riffs and screamed vocals, immediately igniting the mosh pit. Fans consistently jumped onto the stage to crowd surf, only slowing down when the band whipped out some more leisurely songs. The band gave sentimental speeches about the end of their "Drive North" album cycle between several songs. The Interrupters ended the night with some catchy, ska-infused rock. Lead singer Aimee Allen wowed the audience with her ferocious Joan Jett-style vocals. She greeted the audience as if they were old friends, giving hugs upon taking the stage, and inviting a young fan on stage to sing and dance.